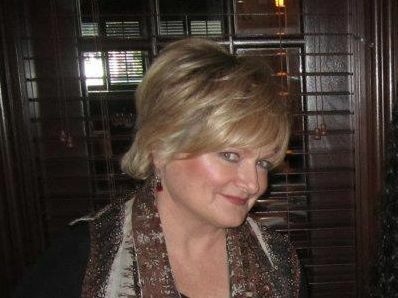 My sister died on May 22, 2014, the day before my 60th birthday. We had been talking almost every single day since her son died in February. However, I hadn’t heard from her in a few weeks and since we had been talking about her going into rehab again, I assumed that’s where she was. I realize now it was wishful thinking or total and complete denial; most likely the latter. Mother’s Day her ex-husband called me and said he had gone by the house and she looked 100 times worse than before. He said he tried to get her to a hospital but she wouldn’t go. Ryan and I called her right after hanging up with Vince and begged her to go to the hospital. She said she was trying to figure out which one to go to (Kaiser has more than one rehab facility and she didn’t want to be carted around she said). She promised me if she wasn’t in by the next day, Monday, I could call 911. She also told me that Debbie (her friend) was going to take her. I asked for Debbie’s number and she gave me a number that was wrong. As I understand it now, her mind was deteriorating rapidly. I called Helen, her friend, and asked her to go to Regina’s. She said she was already on her way. When she got there, Regina was emaciated. Helen said she was stalling and stalling and finally when Regina started throwing up blood, Helen called 911. They took her to Pomona hospital and I called her while she was waiting in the ER. She was her usual self and told me the doctor got a free feel and poked her all around. She said she wasn’t doing good. She also said she was afraid. And I can’t stop hearing her say she was afraid. It was Helen who told me the bad news; Regina had liver failure. They were waiting for a transfer to a Kaiser facility. Delta was kind enough to change my flight and I flew down right away. By the time I arrived in Los Angeles, Regina had stopped breathing and was in the critical care unit. I felt like someone picked me up and dropped me into a nightmare. When I saw her in February when Vincent died, she looked like she was dying too. I remember arriving at the hospital and seeing her for the first time since 2011 and feeling shocked. She looked like she was 85 years old. Her eyes were yellow and she was in a wheel chair because she wasn’t very stable on her feet. I hoped beyond hope that Vincent’s overdose would be her rock bottom, and that she would see the only way to honor her young son’s untimely death was by getting sober, regaining her strength, and then doing something meaningful. I tried so hard after Vincent died to get her to move up here near me. She was thinking about it, but the hepatic encephalopathy had taken too much of a toll on her thinking. I spent the first few days praying for a miracle. The hospital suggested I obtain conservatorship so I tried to get that done. I found her wallet and her checkbook. I also noticed in her recent mail that she hadn’t paid her health insurance for April or May. With Vince’s help, I got that money mailed in right away. I then went through her checkbook and saw that she had paid April’s rent, but I didn’t see any reference to May. I found the rental agreement and called her landlord who confirmed May’s rent was paid. Her landlord was a very mean-spirited and uncaring person; she was more concerned about the lawn being watered than about my sister. One of the doctors caring for her said that if she pulled through the immediate health crisis, she would be in the hospital a very long time. I knew I had to get her out of her 4 bedroom rental house – she couldn’t afford the rent on her own and she never intended to live there by herself. And I certainly couldn’t afford to keep it for her until she recovered. “Shawnna, I have a great couple who will be taking Wynn in just over a month (due to other travel commitments they can’t take him now). They have had four Akitas and their most recent one (from me) passed away 1.5 months ago. Wynn will be spoilt and loved by them in the Denver area. With the help of Regina’s wonderful friends and her ex-husband Vince, I was able to get Regina’s things cleared out of her rental house. Marina Russo – Regina’s childhood BF – was so very helpful. She took the emotion out of it and helped me with Regina’s most personal things. I found my Dad’s slides, and the 8 mm movies I didn’t even know Regina had (that’s a long story I won’t go into right now). We donated most of her things to the non-profit Lutheran Thrift Store in La Verne. Many items such as her crafts, holiday decorations and framed posters and nick nacks were sold through an estate sale we held for a few days. Regina had exquisite taste so all her furniture was from Ethan Allen. I hired movers to handle moving the beautiful Ethan Allen furniture into a storage unit close by in La Verne. Kyle, my best friend since childhood, helped me through the incredible task of prioritizing and making decisions. We prayed and her spiritual counsel and guidance gave me great comfort. She helped me prioritize lists of things to get done so I didn’t get bogged down in the quagmire of it all. She and her husband Larry helped move everything. They also have keys to the locks on the storage unit. Yes, locks as in plural. While it is one big storage space, there are no less than 3 entry doors and all had to have a good lock. While a battalion of guardian angels were with me constantly, it wasn’t without drama or glitches. The original locks I bought for the storage unit had one set of keys. So I had two additional sets made and gave one set to Kyle and one to Matt, my son. Unfortunately the set I kept was one of the duplicates, and when the movers and I got to the storage unit with the truck full of furniture, the duplicate set of keys I had would not work on the door locks. I was paying $180/hour for the movers so I had to literally race to the nearest hardware store and buy bolt cutters. Aaron, the wonderful worker at the storage place, helped by using the bolt cutters to cut off the locks so we could keep working. And even in this the angels helped; the movers only charged me for 30 extra minutes. The drama came when Vince found Regina’s journal she kept while in rehab ten years ago. First, a little background. When Vincent died in February of this year (2014), Vince wanted to bury his son in New York next to Vincent’s grandfather Rocky. Regina was reluctant to have her son so far away. In order to convince Regina to allow him to be buried in New York, Vince promised Regina she could be buried with him when the time came. 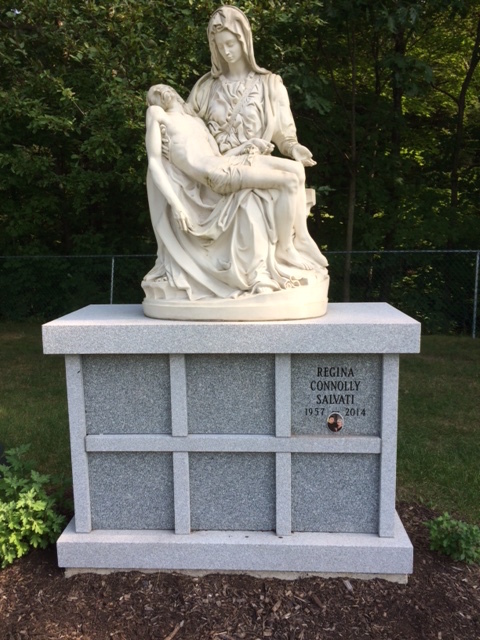 So Regina agreed to allow Vincent to be flown across country and be buried in the Salvati family crypt in upstate New York. I encouraged her to agree to this as I knew Vincent was close to Rocky, and I also believed Vince to be a man of his word. Well, while helping me clear out the garage while Regina was in critical care, Vince found her personal journal she wrote while in rehab ten years ago. Among many other things, it had a list of lies and manipulations she had foisted on those who loved her. In it she confessed to having been unfaithful to Vince. He was profoundly hurt. This, combined with horrific stories from Regina’s neighbor about fights Regina and her son Vincent had, Vince decided to renege on his sacred promise to allow her to be buried with her son. When Vince came and told me this, I knew I couldn’t handle any conflict while trying to go through all that was happening, so I agreed – with the stipulation that we wouldn’t tell anyone right then. Everyone knew Regina wanted to be buried with her son and I didn’t want to create any more drama or chaos than I was already facing. Since then I’ve contacted Vince more than once about honoring his sacred promise; he’s refused. I know Regina isn’t in the box of ashes I have in my guest room now. She and Vincent were bound together in Spirit the moment she died. Where we bury people has nothing to do with the people who have died; it’s about us. I saw that played out first hand with how Regina reacted to her son’s overdose and death; heart-breaking doesn’t begin to describe it. I know I was functioning on adrenaline this whole time. I learned that the Family Medical Leave Act doesn’t cover caring for a sibling – even if you’re her only family – so I was worried about my job that I had just started in February of this year (2014). Thank God I have a wonderful boss who made sure the impact on me was minimal. The counselor I saw last week asked me if my sister and I were close. I hesitated. What does ‘close’ really mean? If it means who Regina called on when in trouble, then I’d say yes. She always knew I’d be there for her and help take care of things. If it means did we hang out together and feel comfort in each others company, then I’d say no. More often than not we irritated the hell out of each other. Still, she knew I loved her and would always have her back. We had a wonderful service at Todd’s Memorial Chapel – the same chapel where Vincent’s service was held. So many friends and family came – I was deeply moved at the outpouring of love. My cousin Steve spoke of our family history and gave me a wonderful photo. Kay and Regina’s AT&T friends wrote a wonderful Resolution and gave it to me in a nice frame. My sister’s heart was deeply wounded. She was three years younger than me and during our early years, she and I shared a bedroom until I left home at age 16. I remember she always wanted to be with my friends and me; and it was, more often than not, frustrating for us both. We had a room with twin beds and a nightstand in the middle between us. She’d wet her bed sometimes at night and come sleep with me. As with lots of childhood memories, this is one that we remembered differently. She had such a vivid imagination and was always so full of life. As a little girl, she used to use the soap holder (which in those days was shiny silver) in our bath tub as a mirror and mimic movie stars. Her laughter was infectious and she was always the life of the party. Her sense of style is something I’ve always envied; she always wore the latest fashions; had impeccable hair and make up, and could dance better than anyone I knew. She even tried to teach me to dance once, and said it was pointless. Andy, after you died, I lost any regard for my own life. When you died, I lost my will to live. I went through the motions, but nothing seemed to really mean anything. I really didn’t want to continue, but I was only 19. I knew that at some point, things would have to get better. It seemed like years, in fact it was years, before things got better. Andy’s sister Helen has been a very close friend of Regina’s throughout the years; I know her heart is broken too. Our Brother, Kevin, was born in between Regina and I. He and Regina were very close. When Kevin was 12, he became sick and didn’t heal. My father took him to UCLA all the time and did everything he could to give Kevin a normal life. Kevin died two years after Andy, when Regina was 21 years old. Our Mother, Helen, was an alcoholic and left us when Regina was just 5 years old. I remember having to teach her about the changes she would see in her body when she went into puberty because our mother wasn’t with us very often. Regina and our mother had a bond; as all mothers and daughters do, but it was scarred by our mother’s alcoholism. Our mother had two strokes and died alone many years ago now. 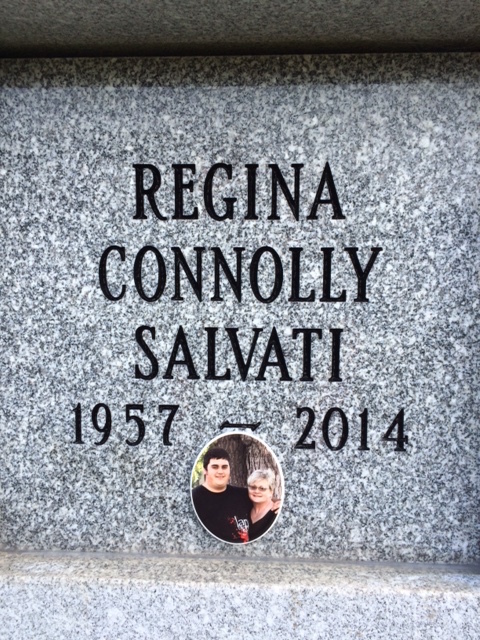 Regina and I met in Salt Lake City where she died and tended to her things and her cremation. We picked up mom’s ashes after her cremation and decided to get some lunch. We took mom’s ashes into the restaurant and gave her a seat at the table with us. We both laughed about that. For a few years after that, Regina kept mom’s ashes in her garage – I’m not even sure Vince or Vincent knew about that. Then when I was down visiting one year, we went out to Redondo Beach pier, had dinner and let Mom go into the ocean, similar to both Kevin, and our Dad. Our Dad, John, was an amazing man; he raised three children on his own in the 1960’s and 70’s – once even appearing on the Regis Philbin show to discuss being a single father. Dad’s dedication to his children was infinite; he was also prone to anger and frustration, especially with me as the oldest, and resembling our mother. My naturally stubborn and defiant personality didn’t help either. Nevertheless, I have my father to thank for the example he set in taking responsibility for my family, and my choices. Regina was always “Daddy’s little girl”. She had him wrapped around her little finger and always knew just what to say or do to manipulate him into her way of thinking. Our father’s death many years ago was a deep wound for her. Regina found work at Pacific Bell (which eventually became AT&T). She made tremendous friends there; many visiting her while she was in the hospital despite having retired in 2012. She was known for her wicked sense of humor and her unique ability to entertain everyone. Her Lucille Ball impersonation was the best. Regina eventually married Vince and had a wonderful son, Vincent John Salvati. Vincent became the center of their lives. They were both involved in his baseball league and made many, many friends in the La Verne area. She loved Vincent with all her wounded heart and saved every single little note he wrote – even the ones written on torn pieces of paper reminding her to wake him for appointments he had. Their marriage ended, but their devotion to Vincent didn’t. Every single holiday was spent together as a family; personally I found that very odd but it was what they wanted to do for Vincent. My sister’s home was always something right out of Better Homes & Garden magazine. She loved to cook and made the most wonderful meals. She was always looking at recipes and trying them out. Even toward the end of her life when she didn’t have the strength to cook and couldn’t keep any food down, she was posting recipes and pictures of delicious food on facebook. Her wicked sense of humor never faded; I live in Seattle so I called her while she was sitting in the ER on Monday, May 12th and asked her what was going on. She said that the doctor had come in and “copped a free feel” and poked her everywhere. 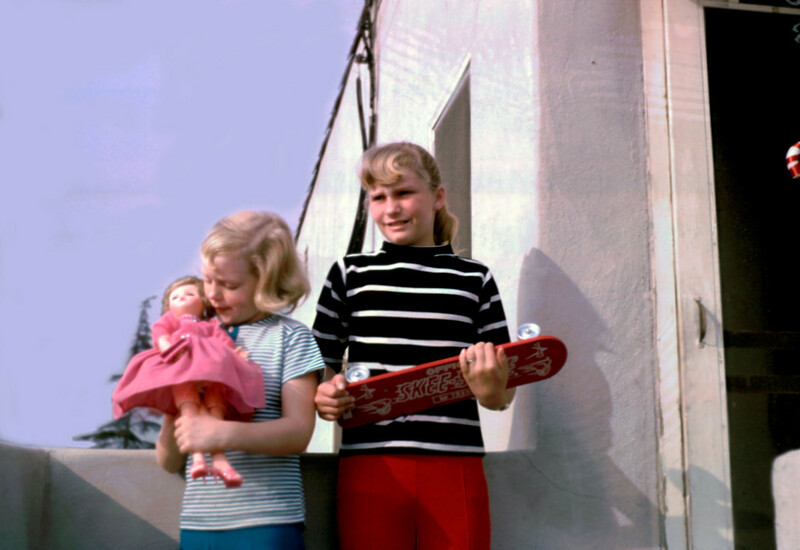 My sister and I weren’t as close as some sisters; sometimes we fought and didn’t speak to each other for months. We’ve blocked and unblocked each other many times on facebook. Be that as it may, she knew I always had her back. When she found herself going into rehab for a month while her marriage was in shambles about 10 years ago, she called me and wanted me to help her through it. I did the best I could, but Regina is a Connolly and we’re Irish-stubborn. When her beautiful son died last February, she was beyond devastated and told me every time we talked since then that she had no reason to live. Guilt is a very destructive emotion and her guilt ran very, very deep. I wanted her to come live with me in Seattle. She thought about it and even contacted some realtors but unfortunately didn’t follow through as her failing health impacted her thinking. My sister Regina struggled with her demons all her life. Her tortured soul is at peace now; welcomed into the loving embrace of God by her beautiful son Vincent, her loving father John, her tortured mother Helen, our beloved brother Kevin, Andy, her first love, our family dog Teagle, and her beloved first Akita Kuma. Wynn, her most recent Akita will be going to a wonderful family in Colorado. They’ve owned four Akitas and their last one died a few months ago. He will be spoiled just like Regina spoiled him. I’m sure she’s smiling about that. I know without any doubt that there, but for the grace of God, go I. My sister’s friend Stella was kind enough to open her home after the memorial, and we had a wonderful time of sharing, crying and caring. My sister’s friend Stacy (my new soul friend!) had a wonderful video made for the reception – I have to figure out how to upload it here. I miss hearing her voice. I have some messages from her on my phone that I can’t bring myself to listen to ….. not yet. It will be a long time processing all that’s happened in the last eight months. UPDATE December 10, 2015. I need to circle back and close the loop on my sister’s burial. After many months of trying to get Regina buried as close to Vincent as possible, she was finally laid to rest September 27, 2014. Here’s her cremation niche, which is directly across from Vincent. My beloved nephew did not recover from his coma and was declared brain-dead on Friday, Feb 7, 2013. Today, he is miraculously giving life to at least seven other individuals in desperate need of a new organ. For these families, I pray that Vincent’s miracles bring the healing they need. In honor of my nephew Vincent, please watch this short documentary about The Opiate Effect. Share it as widely as you can. Then think about the message you are sending when you reach for something to numb yourself from Life’s pain.